I was pretty sure, before I tried this drink, that there was nothing more refreshing than cucumber water on a hot summer day. You guys, Brazilian Lemonade is amazing. I’m not just saying that because it was 90 degrees yesterday and this drink literally saved my life. I’m not even saying it because it’s such a beautiful drink to look at when it’s all gussied up in a pretty pitcher. This is legit the most delicious drink I’ve had in a while. You need to TRY THIS!!! Use soap and water to thoroughly wash the limes. You want to scrub really well because you are going to be using the whole lime! After you’ve washed and scrubbed your limes, cut the ends off the limes (DO NOT MISS THIS STEP!) and then cut them into eighths. 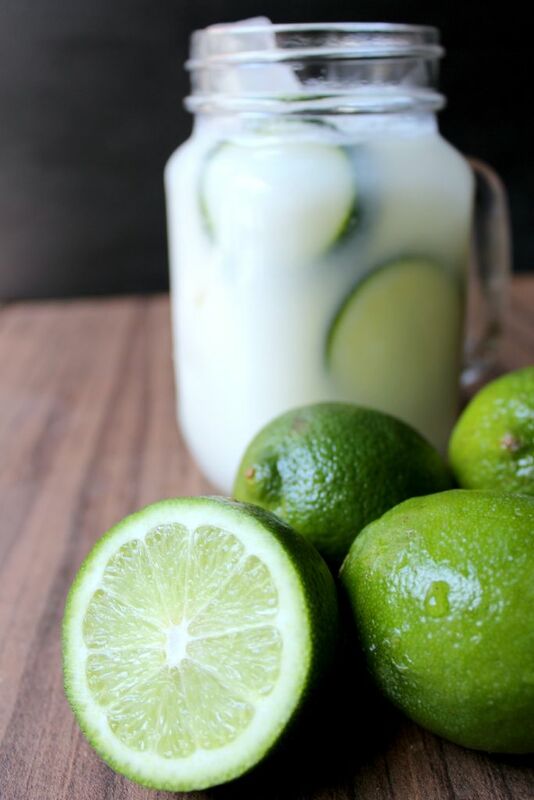 Place half of the limes and half of the sugar water in your blender and pulse 5 times. Strain through a fine mesh strainer into the pitcher that you are going to serve it in. Discard the pulp. Repeat with the second half of your limes and sugar water. Mix in the sweetened condensed milk. Serve over lots of ice. 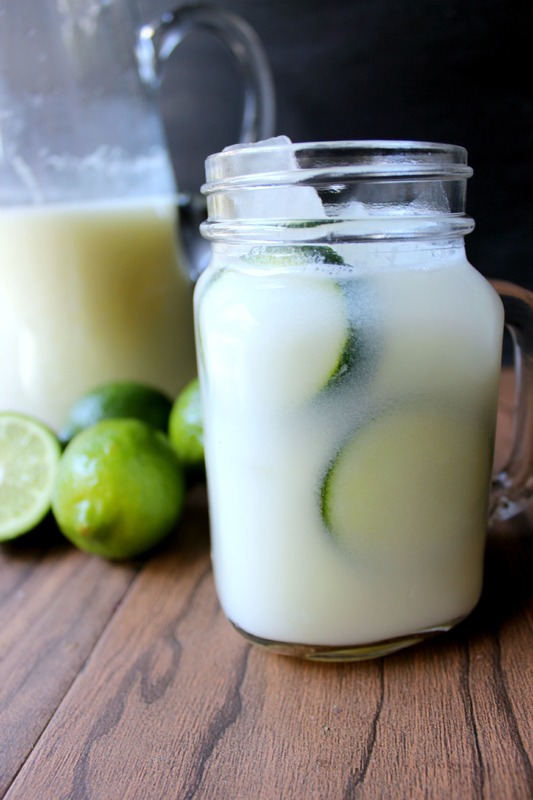 ***You can add a little white rum to this bad boy to give it an extra kick! Sounds amazing! I’ll have to try it! Yay! I really hope you like it!